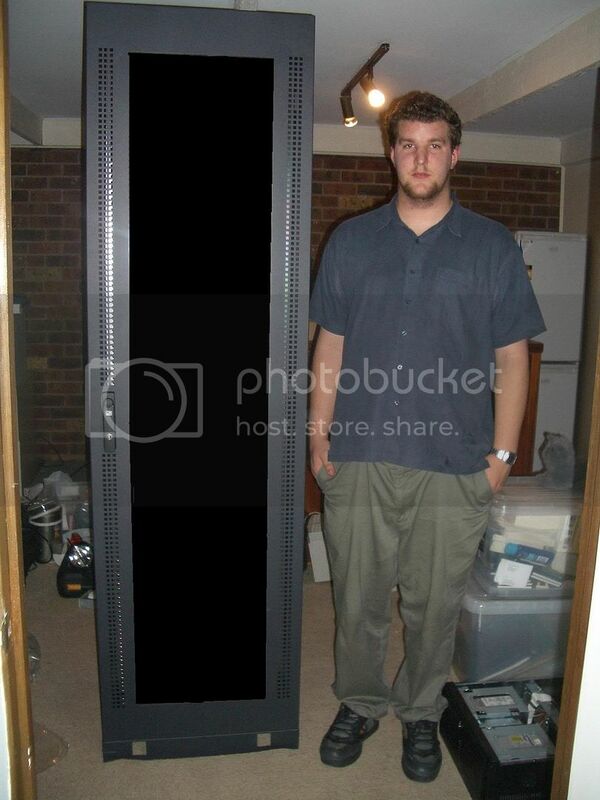 Got a SCSI HDD rack at the bottom (10 drives) unpopulated at the moment. I have another that I am converting to IDE at the moment. 1Ghz P3 in the Compaq box and another 1Ghz above that. Then there are these that are to be installed once I get some shelves to stack them vertically on, once I get around to it. 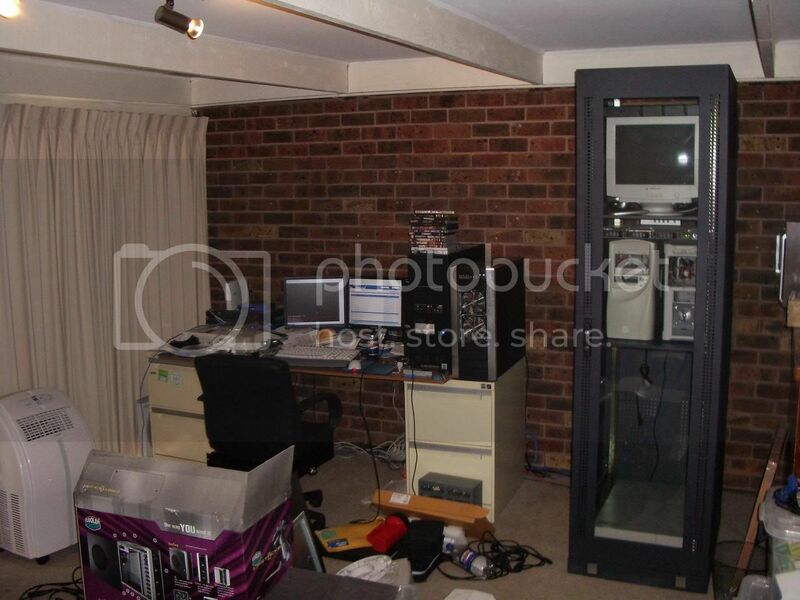 Thats a lot of old cisco stuff. i dont have a rack at home but i have test rack at work (im the only comms/cisco person) that i can vpn then ssh into or dial in to a 2511 as an access server if i have to. you show me a better desk and i might buy it..
its nice and deep and its as wide as i want.. ive got another bit of wood the same size, i could move the rack and have a desk the whole way along that wall. so the point of all these is to make ur power bill go up? That's a hell of a lot of noise and electricity for not much return. Also, isn't that a Scitech rack with wheels, without the doors and side panels, ex Telstra/Qantas? 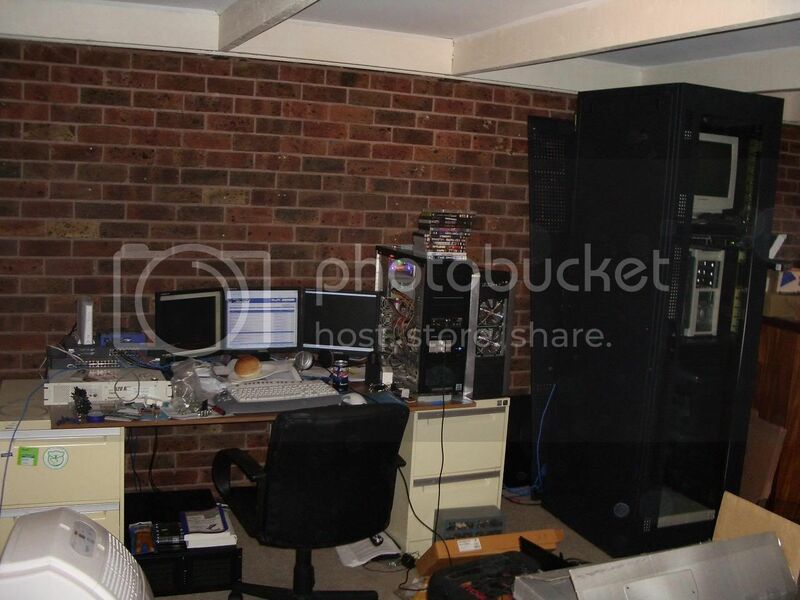 nup mine do stuff, file server, web, voip, ftp, mail, backup, workstation, security, and testing enviroments for work.